Weehawken resident Avery Griffin sings with "Roomful of Teeth "
Roomful of Teeth, an eight-member vocal ensemble, was founded in 2009 by composer and artistic director Brad Wells. The members have used their classical discipline to create vocal arrangements with a shared aim to “push the potential of the human voice to unexplored boundaries.” Their works are recognized for their orchestral qualities that few vocal groups have achieved. Since it first took off, the group constantly tours and collaborates with several composers, sewing more into their patchwork of global influences. The group’s self-titled album debuted in 2012, which landed it a Grammy two years later for Best Chamber Music/ Small Ensemble Performance, one of three nominations it received that year. Four of the songs on the album, a movement called “Partita for 8 Voices,” composed by member and vocalist Caroline Shaw won her the Pulitzer Prize for Music. Now 37, she is the youngest recipient of that award in history. Since then the group released a sophomore album, “Render,” and has collaborated on on four other records which a long line of artists. The name stems from a line in the Bob Hope and Bing Crosby film Road to Morocco. Avery Griffin, one of the group’s baritones, is a Weehawken resident, who revealed what led him to join the group, and how he and his fellow members maintain their creative momentum. Griffin works as an audio engineer and website manager for St. Thomas Church, on Fifth Avenue in midtown Manhattan. He’s a composer in his own right, and teaches with the Philharmonic’s Very Young Composers program. He began freelancing after studying with Princeton University’s Westminster Choir College, when he was introduced to the fledgling project. Griffin said the group follows Wells’s lead, researching innovative vocal traditions from around the world. It’s more than ethnomusicology; it’s composers harnessing those styles for use in chamber music arrangements. The vocalists are scattered across the United States and gather at the Massachusetts Museum of Contemporary Art for residencies with world-renowned masters of unique, demanding, and often ancient vocal techniques. The group fearlessly adopts the breathy stutters of Inuit vocal styles, the polyphonic humming of Tuvan throat singing, belting, yodeling, Korean Pansori, Georgian singing, Sardinian Cantu a Tenore, Persian classical singing, and death metal vocals, to create wild textures with the human voice. 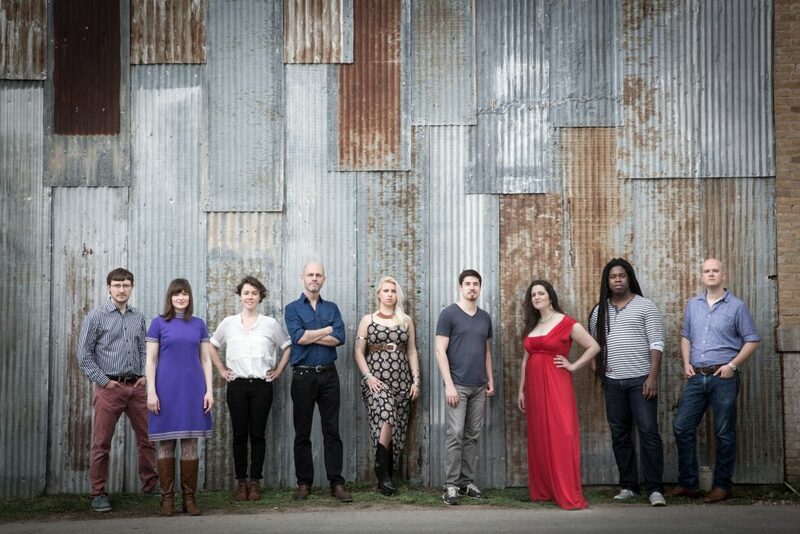 Roomful of Teeth practices a new kind of vocal music that reaches heights of extremity, dynamism, and experimentation, through a global cross-section of vocal disciplines. Exploring this artistic frontier is part of what has kept Griffin from hitting a plateau; having no genre or point of reference from forerunners keeps the artists fresh. The group rightfully rejects music critics’ use of the term chorus. While they do everything vocally, they don’t let conventions or genres interfere with the unorthodox combination of techniques. That, combined with deadlines and forming new relationships with a vast number of composers, keeps the artists on their toes. The tight melodies and vocal effects allow the songs to go from uplifting belts to eerie, uncanny takes on dark, jazzy harmonies. While Roomful of Teeth constantly pushes the envelope,doing so isn’t the be all end all of their mission. For updates on this and other stories, check hudsonreporter.com, or follow us on twitter @hudson_reporter. Mike Montemarano can be reached at mikem@hudsonreporter.com.